PICTURE OF THE DAY: BRIANNA AGAIN! 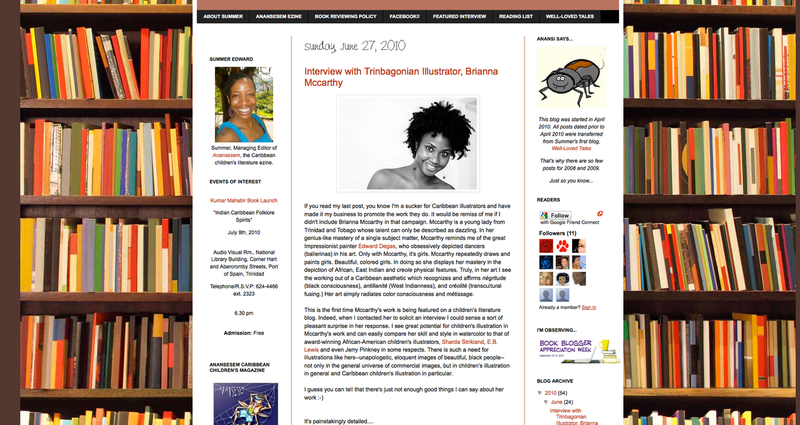 Summer, Managing Editor of Anansesem, the Caribbean children's literature ezine interview's Brianna McCarthy. 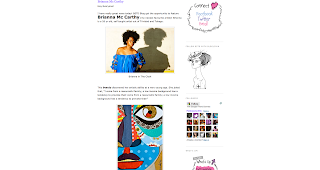 Mccarthy is a young lady from Trinidad and Tobago whose talent can only be described as dazzling. In her genius-like mastery of a single subject matter, Mccarthy reminds me of the great Impressionist painter Edward Degas, who obsessively depicted dancers (ballerinas) in his art. Only with Mccarthy, it's girls. Mccarthy repeatedly draws and paints girls. 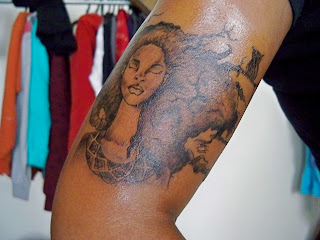 Beautiful, colored girls. In doing so she displays her mastery in the depiction of African, East Indian and creole physical features. 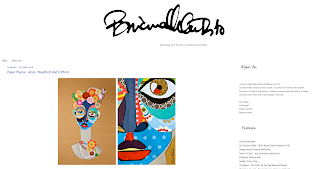 Truly, in her art I see the working out of a Caribbean aesthetic which recognizes and affirms négritude (black consciousness), antillanité (West Indianness), and créolité (transcultural fusing.) 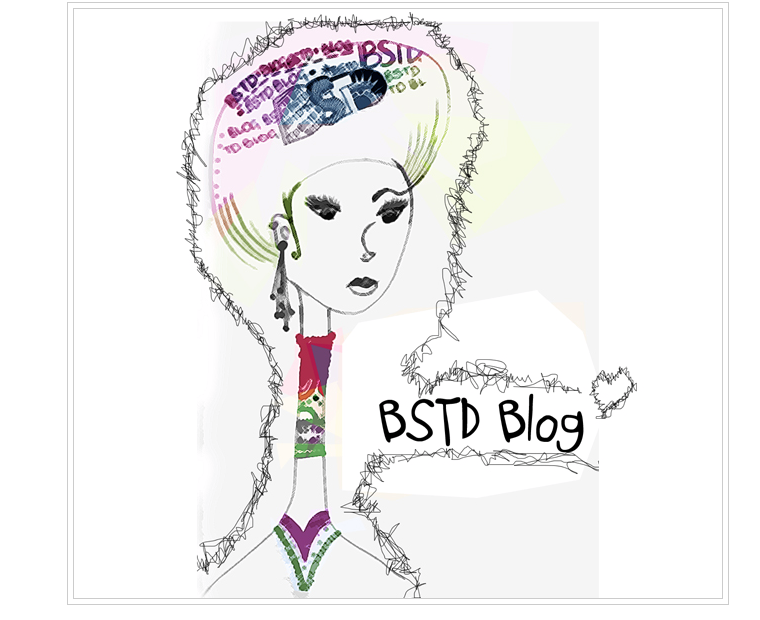 Her art simply radiates color consciousness and métissage. TRINIDADIAN WRITING: a dying artform? 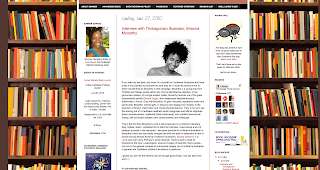 Interview with Lisa Allen-Agostini and Roslyn Carrington on reading, writing and publishing in the Caribbean, esp Trinidad & Tobago. These are the words of Trinidad’s most famous author, Nobel Prize laureate V.S. Naipaul – famous, perhaps, not so much for the accolades behind his name, but for his refusal to attribute his success to his home country ever since migrating to England in 1950. 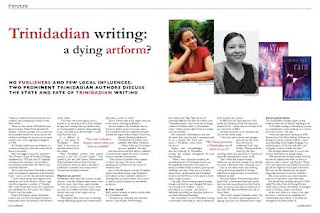 Yet Trinidad still boasts his brilliance as a writer, tacking him onto the scanty list of literary successes. 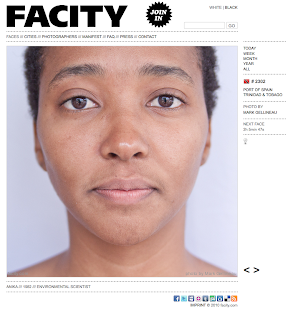 Facity is an international portrait project. Here's Mark's first published portrait in their collection. 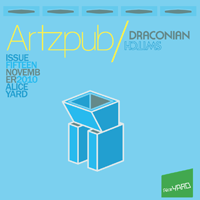 Issue 4 of the poetry and art magazine Town online now! The fourth issue of Town offers meditations on beginnings and ends, pasts and futures, homes and aways, by four poets and one artist. Follow the link below to read the contents of Town 4 online, and to download PDFs of this issue’s six broadsides. 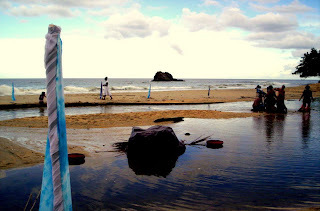 Trinidad and Tobago's art culture. 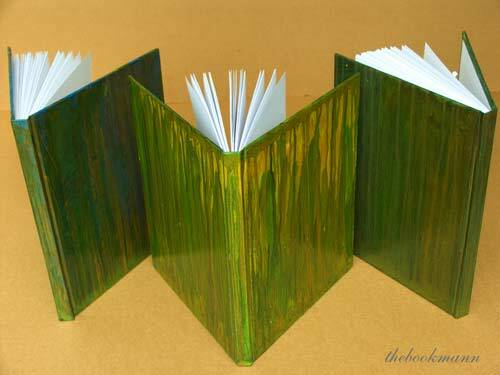 Since 2000, the Bookman has approached the art of painting though his craft of book binding. The work here is an example of what he is capable of doing. 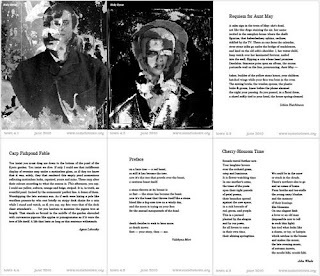 These oil journals are from a series which in 2006 where produced by the influences taken from a painting by Peter Doig called, the music of the future. The work then expanded by actually creating dimensional replicas, capturing a map over the subjects to explore the underling subconscious in the form of art. This aided the ability to analyze art by producing art parodies to understand the meaning behind it. No money was spent or assistance in producing these compositions from common items found in his home, a chair, a mirror, or old tyre. The artists lists includes, da Vinci's Last Supper, Koons's dog, Hirst's spin paintings, Andres Serrano's piss Christ to Monet to name a few, over one hundred artists' have been completed, producing one in every 24 hour cycle. It should be noted that with the feinin studies, you should see that actual work that is been parodied via the link. It makes no sense otherwise. Jemima Charles and Michelle Isava worked together to install a recreation of a shared memory at Blanchicheuse. Death making its journey from the river to the Sea. Everything returns to the Ocean's embrace.We witnessed a dead leather back turtle impossibly move through the river while it was shallow and narrow to go back to the ocean. 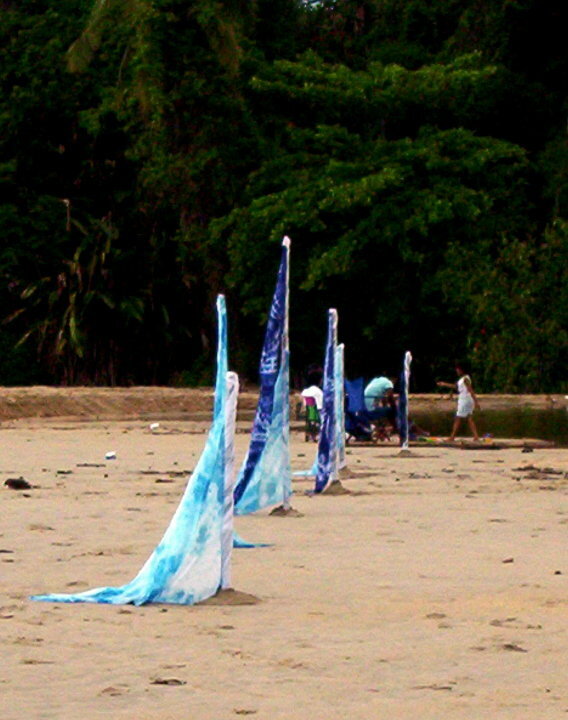 Jemima made the water element in the form of the flags placed on the perimeter of the river and I created a floating form to represent the turtle on its journey. 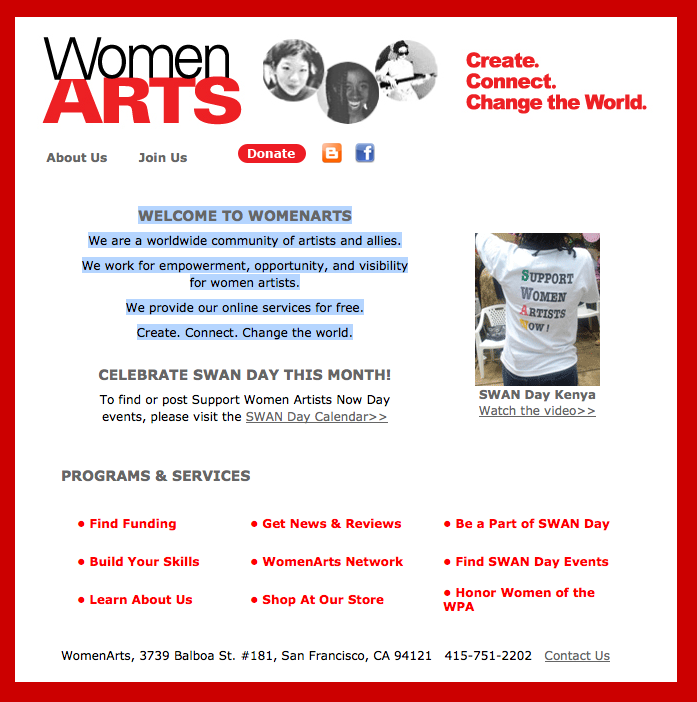 We are a worldwide community of artists and allies. We provide our online services for free. Marlon Griffith attended the John S. Donaldson Technical Institute, Port of Spain, Trinidad. He has been an artist in residence at Bag Factory and City + Suburban Studios in Johannesburg and the Mino Paper Art Village in Japan. 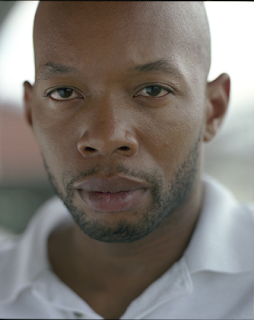 He has also participated in workshops in Martinique and Guadeloupe and has shown his work internationally in New York, Johannesburg, Kingston, Gwangju, Cape Town, and Toronto, among other locations. He started his artistic career as a Carnival designer—as a “mas man,” as Trinidadians would call him—and he continues to design carnival bands today, for Trinidad Carnival and Notting Hill Carnival in London. This background deeply shapes his work as a contemporary visual artist, which has performative, participatory, and ephemeral characteristics that derive from Carnival. 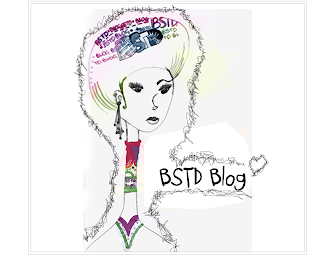 Carnival costumes are, for instance, normally discarded on Ash Wednesday, and this lack of concern with permanence and material value is evident in his work as it also builds on and perpetuates the tradition of social criticism in Trinidad Carnival. 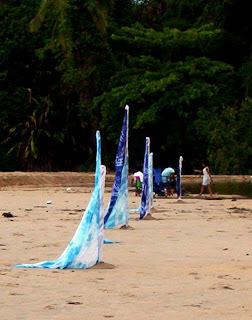 Marlon Griffith is an artist whose practice is based upon a reciprocal dialogue between Mas (the artistic component of the Trinidad Carnival) and art as a means of investigating the phenomenological aspect of the embodied experience: it is situated at the intersection of the visual and public performance. Through this he has created installations and performance-based works which operate outside the context of Mas which look at fundamental questions in perception and how these actions respond to contemporary culture outside the tradional pitfalls of representation, which has displaced by the empty glamour of recent incarnations. In his refashioning of carnival forms, the work challenges both commercialization of Trinidad’s rich traditions of performance and their various appropriations by both Afro- and Indo-Trinidadians. Through this work he is able to use symbols that define Caribbean society and social groups, which are stripped down to their basic form and abstracted to create new images and narratives that are both public and participatory that respond critically and poetically to the socio-cultural environment which powerfully evokes the uneasy tension-filled interdependency between competing social groups that shapes contemporary Caribbean societies. 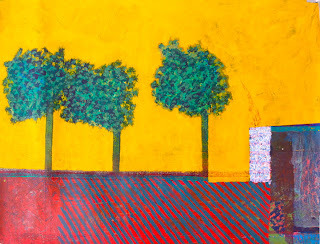 Y Gallery is proud to host an exhibition of two of Trinidad’s most innovative artists: Eddie Bowen and Che Lovelace. An intensive discussion and collaboration between these two painters has been sustained for nearly two decades, this current exhibition of new and previously un-exhibited work in many ways represents their ongoing conversation related to painting. 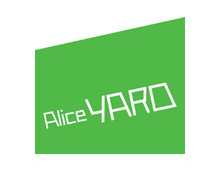 The pair have been collaborating since the mid nineties on projects such as Studio 66a, in Newton, Port of Spain: a space which included the painting studios of both artists and became a venue for exhibitions, poetry readings and multi media performances. 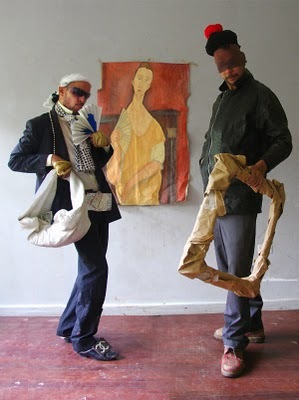 Lovelace and Bowen also taught art classes together during the education program organized by Caribbean Contemporary Arts (CCA7) in the mid 2000s. 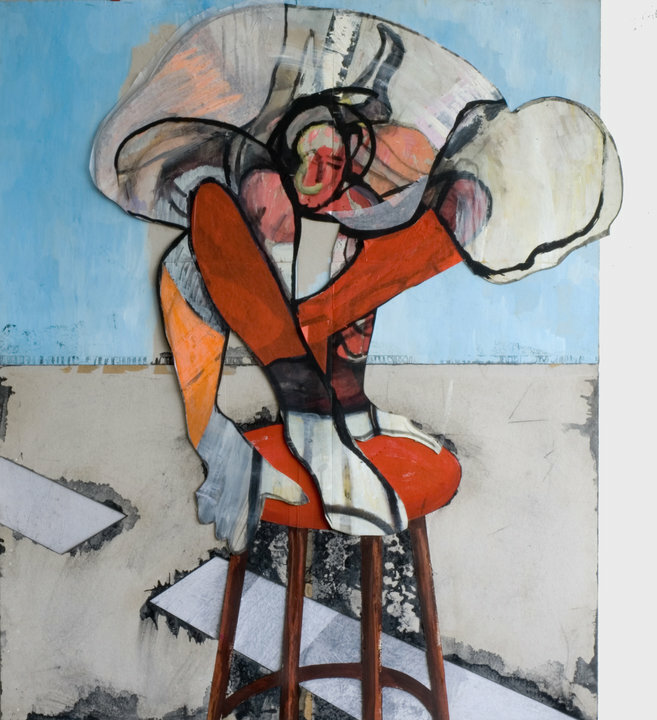 For this exhibition Lovelace will show a series of new paintings, as well as drawings, both with a strong focus on the human body and movement. Bowen will present recent paintings inspired by the vistas of his studio located in Sans Souci, as well as, a suite of intricate drawings from his ‘Architect of Impossible Physics’ series. 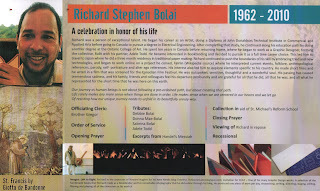 The exhibit opens Monday 14th June and continues until 23rd June. Y Gallery is located at the corner of Warren and Taylor Streets, Woodbrook and can be reached at 628-4165 or via email at yartgallerytt@gmail.com to receive more information. 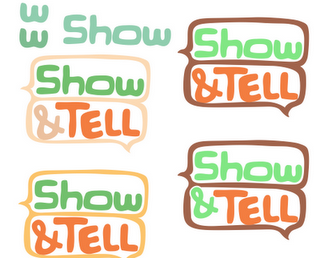 Last week (Friday, May 4th) launched the debut of the identity I designed for The “Show & Tell “event Series that the Branding and Design agency I work at – (Abovegroup), puts on ever so monthlyish..
I”ve been laboring over this logo for what seems like forever. And finally the event that just held it’s 8th showing finally found its brand identity! Every “Show and Tell” Alicia Milne (our resident Maker) creates lovely creative installations to represent each cuest and theme. 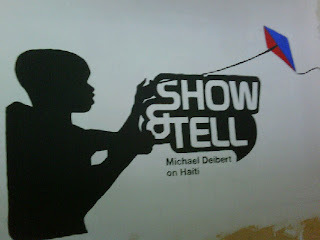 And at this event she along with the help of my other co-workers painted the logo on the wall in a design for the Michael Deibert, Haiti Special. 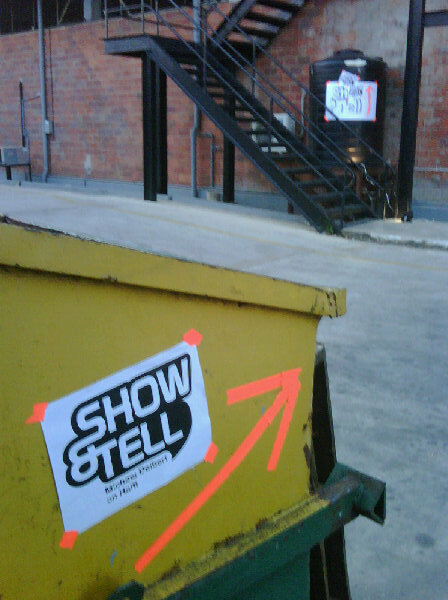 Signs posted at various points at the Fernandes Industrial Centre, Laventille, where the event took place on Friday. Abovegroup's Show&Tell now has a logo and this is the first wall piece with the identity incorporated which was done by our very invaluable Maker Alicia Milne with help from Khafra Rudder for our last event, journalist Michael Deibert, on Haiti. 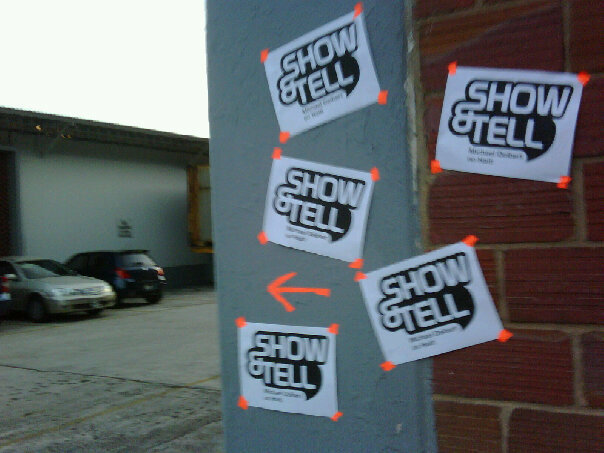 Abovegroup - Show & Tell is a monthly(ish) event hosted by Abovegroup at our studio in Building 7, Fernandes Industrial Centre. Each event features a short presentation each session by at least one group or individual on a point of interest in any of the following disciplines: Graphic Design / Photography / Advertising / Branding / Writing / Poetry / Illustration / Architecture / Interior Design / Furniture Design / Landscape Architecture / Urban Planning / Typography / Identity / Chocolate Blending / Spirit Blending / Publishing / Fashion Design / Retail Design / Jewellery / Sculpture / Music / Film / Animation / Fine Arts /Pottery / just about anything else. 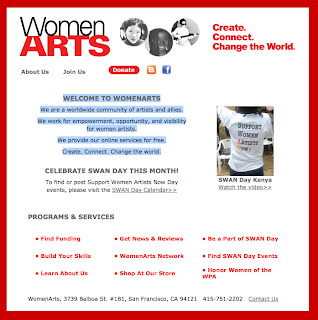 Work can be commercial, non-commercial, published, conceptual, personal, whatever. Admission is free and the atmosphere is easy. 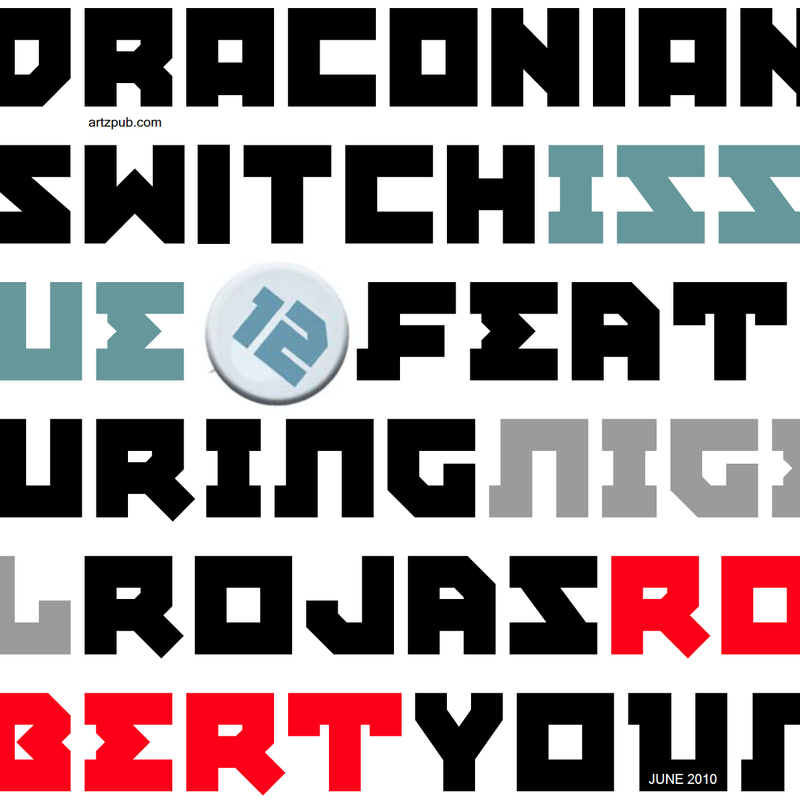 Draconian Switch 12 is online now! 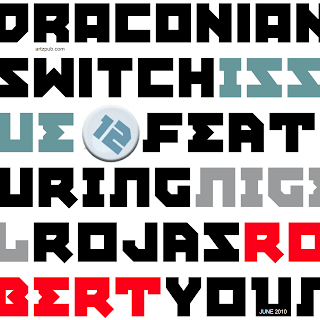 The new issue of Draconian Switch is online! It's got the strong photography of Rodell Warner, with writing by Andre Bagoo, Dave Williams, Tracy Hutchings, Indra Ramcharan and Mariel Brown. Issue 12 features the work of fashion designer, Robert Young, local rock icon Nigel Rojas, designer and artist Richard Rawlins, and the rapso group 3Canal. So feast your eyes and share the link with your friends. Enjoy!